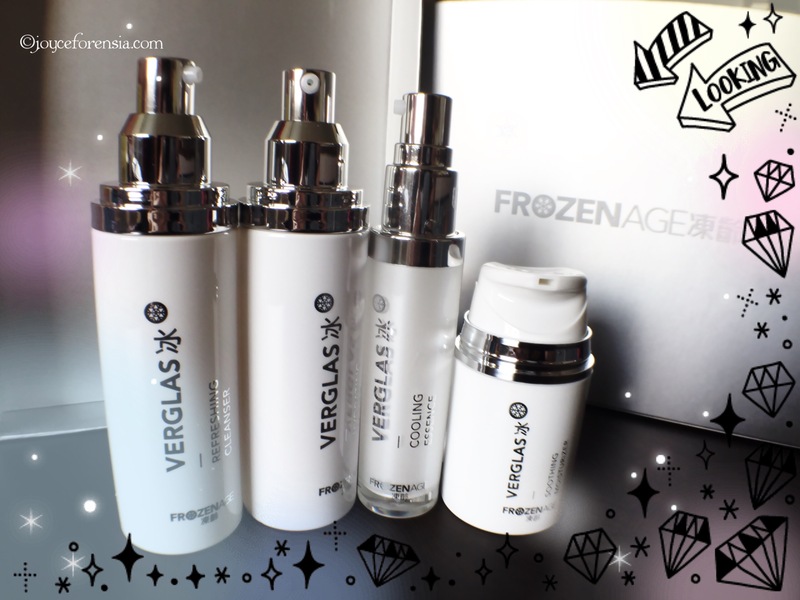 I first heard of FrozenAge Singapore a couple of weeks back and got introduced to their premium skincare line, Verglas 冰 for anti-aging. 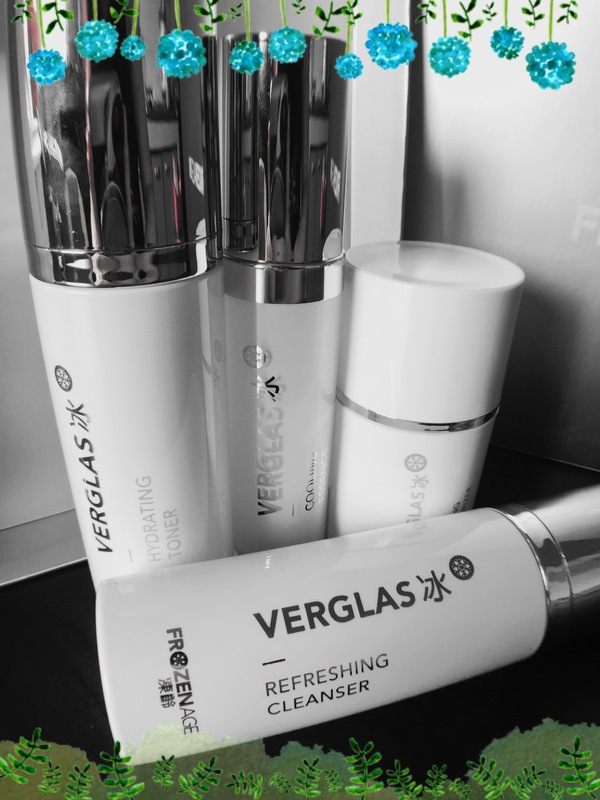 As someone who’s constantly on the look out for good skincare products, I was intrigued as although Verglas is formulated in the USA, it’s a local brand. 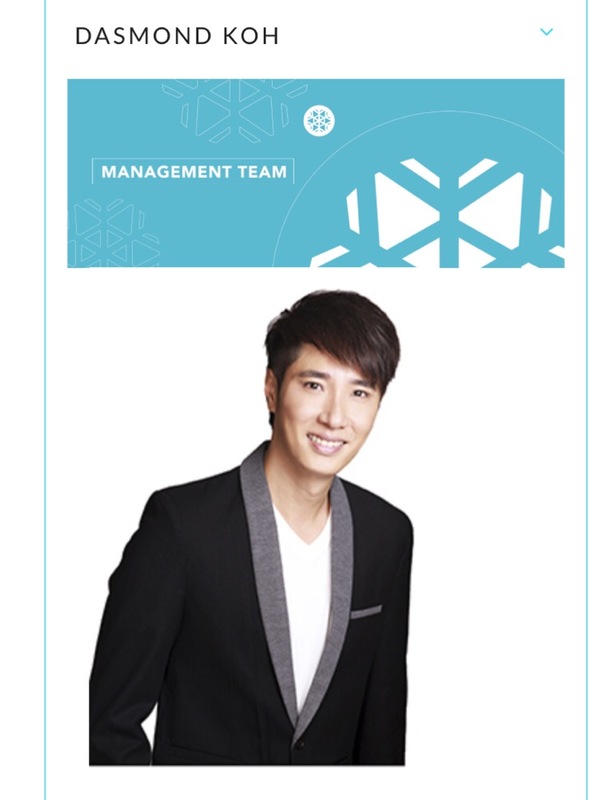 One interesting fact about FrozenAge Singapore is that it is founded by Dasmond Koh, our local celebrity. After learning about the technology used in Verglas, I was sold and decided to invest in the Skincare Set. Will be writing a review after using the products and see it if can help to freeze our age as it claims. Update Wee, managed to grabbed a photo with Dasmond Koh while I was at their office to collect the EGA Collagen Drink which I’ve also ordered. More on that in another post! One of the main ingredients used in Verglas is Marine Embryonic Stem Cells that will help in cell and tissue regeneration. Papaya and Pineapple enzymes and also licorice extract are the other key components which helps in anti-inflammation and exfoliating and conditioning the skin. Another reason I decided to get this is because my skin is super sensitive and can get inflamed pretty easily. Anything that is anti-inflammation is a plus point to me. Verglas 冰 does not have the fancy packaging that I love. Instead, the packaging is very minimalist and clean. One thing I love is that all the products comes with a pump which makes it so much more convenient and you can control the amount of product use. After using many different kinds of packaging, I prefer those with pumps as it’s so much more hygienic and the content in the bottle won’t get contaminated. The star product of the whole line to me is the Verglas Refreshing Cleasner. It has this Encapsulation Technology that will trap the dirt in the cleansing process so the dirt won’t get back into the skin. This is actually pretty interesting and new to me, but from what I heard it’s not exactly a new technology. I decided to do a quick demo of the cleanser to showcase the encapsulation technology of the cleanser. When I first saw the demonstration, they used a marker but I feel that the properties of a marker and the actual make up that we use are different. Personally I wanted to justify my purchase also. Haha. I piled on concealer, waterproof mascara, liquid liner and two lipsticks that stains my lips on the back of my hand. And indeed it works pretty well! I probably won’t use this to remove my makeup but I think this cleanser can definitely help me to trap any left over traces of makeup that my removal did not manage to remove. This encapsulation technology is pretty cool right? I’ve just started using the set, so stay tuned to my review soon! 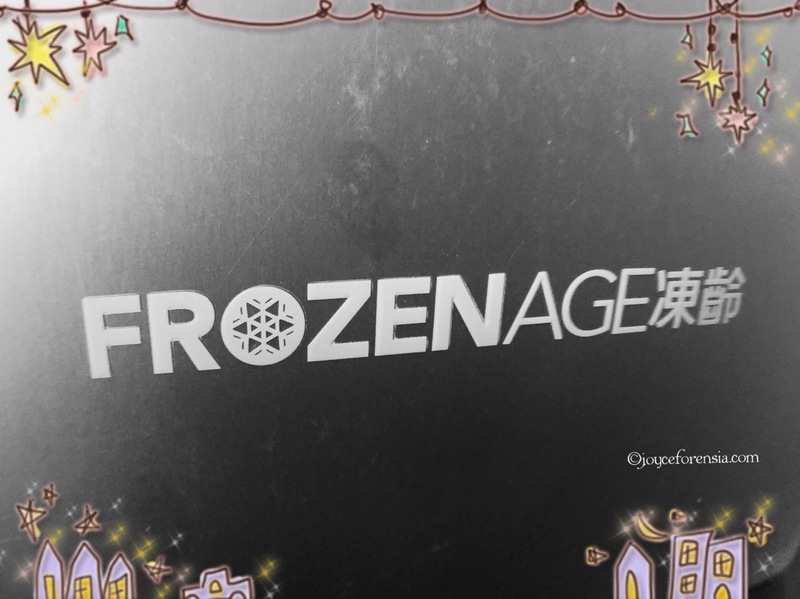 Alternatively, you can contact Jerry from FrozenAge Singapore. Disclaimer: This is not a sponsored post. I purchased the products on my own and everything stated are my honest opinions. I’m sure most of you would have seen this video which is trending on social media recently and I’ve only just managed to watch it last night. It got me thinking after watching this video. Personally, I can relate to this video as I suffer from acne problems myself and have been battling acne on and off since puberty. The self esteem issues that I have cause of acne, the numerous time I look at myself in the mirror and just felt disgusted at my own skin. The first makeup item I purchase is a compact foundation so I could cover all those red marks on my skin. But I must say I’m lucky in the sense that I hardly met with mean comments about my skin. I do know that people judged me cause of all that marks but so far I only met with people who were encouraging and concern. Though there were some who beats around the bush and try to tell me in the nicest way possible that I should do something about my skin. Of course I tried many ways to try get rid of my acne and it’s also one of the main reasons why I started a beauty blog other than sharing my passion for makeup, I wanted to share my journey with girls who have similar problems as me. I’ve since come to terms with the fact that my acne will never be gone after all these years of trying to get rid of it. 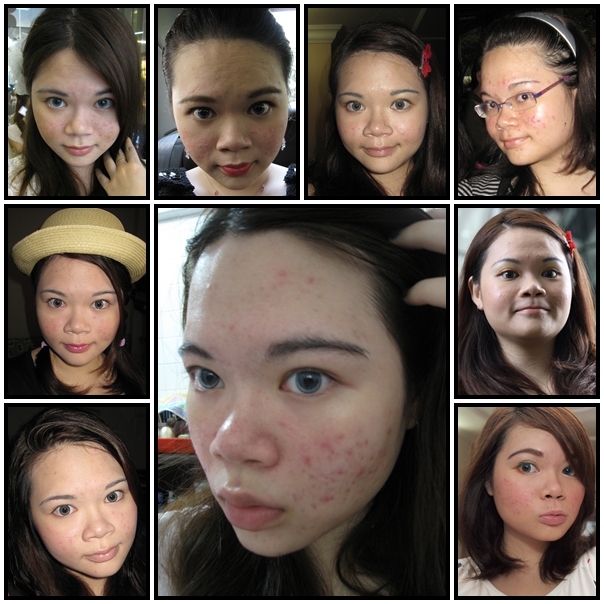 I’m ok with my acne prone skin but I’m still working hard to minimize the breakouts and keeping the acne under control. Before this “You Look Disgusting” video, there’s this #powerofmakeup trend going on which I support. Wearing makeup doesn’t mean that we are not happy with our own skin and that we want to change our look. We wear makeup because we love makeup. Personally I love how makeup makes me look better and gave me more confidence. But that does not mean that I’m not comfortable in my own skin. I actually go to work without any makeup these days and only wear makeup when I’ve an event to attend or when I just feel like it. We are all beautiful, with or without makeup. I do agree that society these days judge too much. The video by Em does pass on a very strong message but I must say while I find her video inspiring, I do find that she puts on too much makeup. “I admit that near the beginning, I made the mistake by trying to cover up the acne with loads of makeup. Piling on concealer and foundation like it’s free. What’s worst is that my techniques at that time wasn’t really good and I did not manage to conceal them properly. It was until much later when I realized that I am putting too much on the acne that I ditched the concealer and used only powder. I should concentrate on skin care rather then just covering with makeup. Makeup can only covers the acne temporarily and will not get rid of it. We have to work from the skin care, the diet, and a lot of other factors to clear the acne. I mean it’s great and all to be sharing tips on Acne coverage but I cringed when I see the amount of makeup she piled on her skin in one of her tutorials. As someone who’s facing the same acne issues and also someone who’s professionally trained in makeup, I hope girls out there will know better than to blindly follow her tutorials. Her makeup are all very pretty and she does have pretty features to being with despite the bad skin, but still way too much base makeup. An Acne Coverage Video that I was inspired by when I watched it couple of years ago. This video above is a better example on acne coverage I must say. I’ve watched it a couple of years ago and till now I still remember this girl. She did not pile on products and her skin looks flawless at the end. And her acne issues is equally as bad as Em Ford or even worse in my opinion. This tutorial from Em Ford, makes me shake my head. The amount of foundation and 3 different concealers used is way too much. I can literally see a thick layer of base makeup on her face. I’m sorry if I offended anyone of her fans by saying so, but it’s just way too much. I always think and strongly believe that “Less is More”. Perhaps piling on so much base makeup does covers up the acne marks and all, but doesn’t it defeats the purpose if the makeup looks cakey and thick? Her message is indeed inspiring but I honestly hope that girls out there don’t follow suit with the thick makeup. It’s always best to solve the problem at its roots. I love my makeup and I know how to conceal them. But I choose not to put on too much as I don’t want to conceal them, I want them to be gone. I would advice everyone to focus on the health of the skin as early as possible. Acne can be controlled and minimized, you just need time to learn about your own skin and know what is good and what is bad for your skin. Beauty is in the eye of the beholder. Everyone have different perspective of beauty. As long as you are happy in your own skin and feels good, why would you bother about what others say? Keep the negativity out of your life and the world will be a much better place. This is the first of a mini series on grooming for the men in collaboration with my sponsor Nouri Face & Body Concepts. Featuring Isaac Chan, an executive working in advertising by the day and a DJ by the night. For a start, we will be featuring the Classic Facial treatment by Nouri which results in clean and glowing skin. The Classic Facial involves basic cleansing, exfoliation, extraction, mask and a soothing massage. Valerie from Nouri provides the most thorough extraction to ensure that most of the impurities are removed. Check out the video below for the Class Facial treatment! This photo is taken right after the Classic Facial. No editing involved except for resizing. Check out the nice glow Isaac have after the treatment. I’ve observed that guys tend to get better results after a facial treatment which involves extraction to rid of the impurities in the skin. I’ve personally benefited well from the Classic Facial and highly recommends it! Next up in the series will be on IPL for the face! Stay tuned! Check out Nourifbc FB page for more information and promotions! 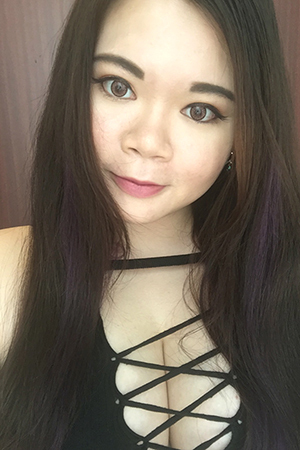 You can whatsapp Valerie at 91994189 for inquiries and bookings too!